Good oral health habits aren’t just for humans. 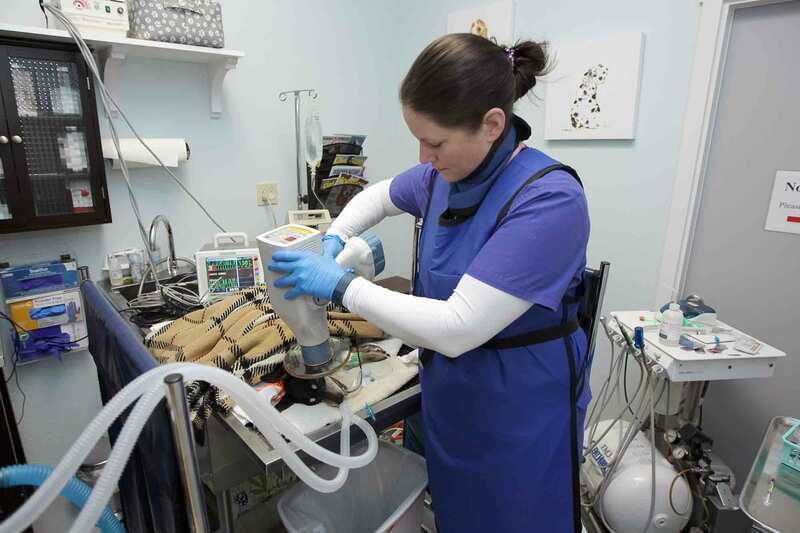 Just like their owners, pets benefit from regular dental care. Cleanings and examinations help protect your pet from dental disease, which can cause pain or lead to more serious illnesses. Without regular dental care, bacteria from the mouth may enter the bloodstream and cause problems with the kidney, heart, or liver. Our clinic’s priority is your pet’s safety and comfort. All dental procedures are completed by our experienced veterinarians and veterinarian technicians. We use the latest diagnostic technology and surgical procedures, and we consult with specialists as needed to ensure that your pet receives the best possible care. To learn more about our dental care services or to schedule an appointment, contact us today.